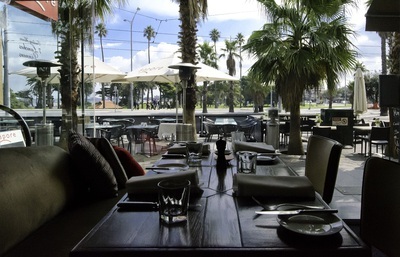 Just a short tram ride from Melbourne city and minutes from the pier, Luna Park and Novotel, at the beach end of Fitzroy Street in St Kilda is the quietly classy and popular Sapore, recognised for its impeccable service and elegant cosmopolitan decor suitable for intimate meals and family functions. The interiors feature dark wood furniture and long dining tables with windows opening out to the sidewalk and outdoor seating. 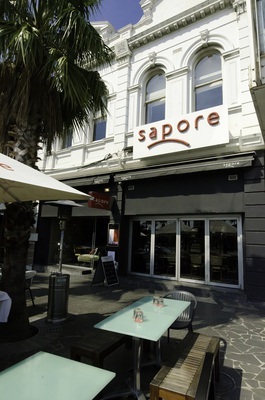 In the kitchen, Sapore was awarded a chef's hat by the Good Food Guide three year running since 2010, making this restaurant a local A-lister worthy of the Emirates' Melbourne Cup Marquee. Led by Head Chef Simon Moss, the merging of classic Italian tastes with modern food styling results in signature dishes such as veal osso bucco, seafood linguini, crispy pork belly, and honeycomb-topped limoncello semifreddo with manuka honey sabayon that have customers raving and returning back for more. 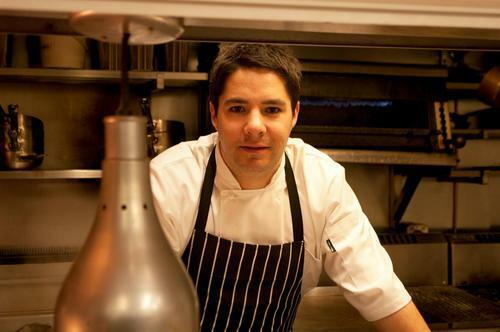 Simon's career started in his native New Zealand, learning the trade in hotels before taking his first head chef role at Cin Cin and then making his mark at One Tree Grill, voted Auckland's best restaurant. After a stint in charge of the city's busiest restaurant, Orbit, Sky City Casino, he was headhunted by Sydney's Wildfire, before finding his spiritual culinary home in Melbourne. Simon shared with me that his cooking is innovative, with a playful aspect, while remaining true to classic flavours and tastes. He described it as Modern Italian, but with a French influence as his early training was in the French style. He sees himself as a creative person and probably at his most creative when the seasons change, so his food is driven by seasonality. He loves to create elements that haven't been seen before while ensuring his dishes remain approachable and recognisable, a subtle reinventing of the wheel. Chef Simon's 3-hour "Modern Italian Feast" priced at AUD140 per adult and AUD50 per child under 12 years includes a glass of Sorelle Bronca Prosecco on arrival and 4 shared courses. 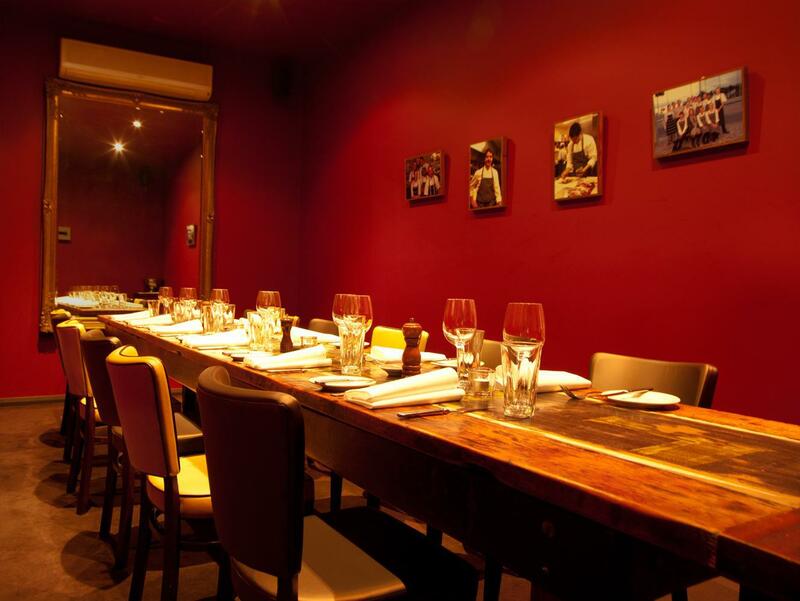 Some of the highlights include Pork & smoked duck terrine with 'agrodolce' red peppers, slow cooked octopus, saffron potatoes, olives and salsa verde, confit turkey leg with morello cherry compote and traditional Xmas pudding with a brandy sabayon. 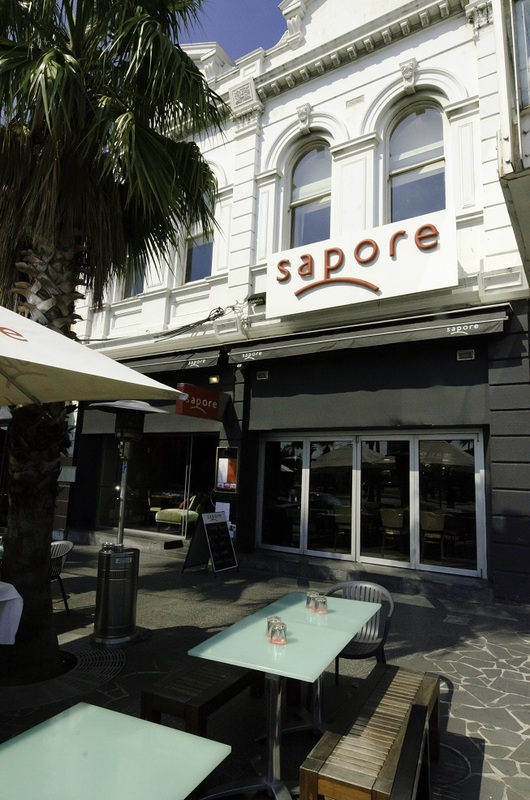 As seating is limited, readers can make reservations by calling Phone: (03) 9534 9666 or Email: dine@sapore.com.au for a booking form, which also allows you to choose your 3-hour lunch slot between 11am to 4pm. A copy of the full menu is also available by contacting Sapore.